In the remake, the original family of maniacs who aim to please their mother, will return to their original family home which is now occupied by a new family. Jaime King will play Beth, who is described as "a wife who has lost her child and is isolating herself from her husband." Shawn Ashmore (X-Men) and Briana Evigan (Step Up 2: The Streets) have been casted as guests of Beth who are staying in her house. 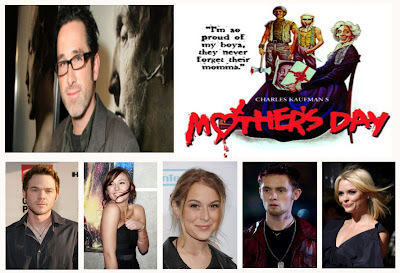 Also in the "Mother's Day" cast is Darren Bousman's muse from 'Repo!' Alexa Vega. No word on exactly who Vega will play, but we can assume she will be another guest in the house that will fall under the terror of the evil family. Speaking of the evil family Matt O'Leary is in final talks to star as another one of Mother's kids along with Woll.